It’s week three of my 12 week series of The Summer of Salads. 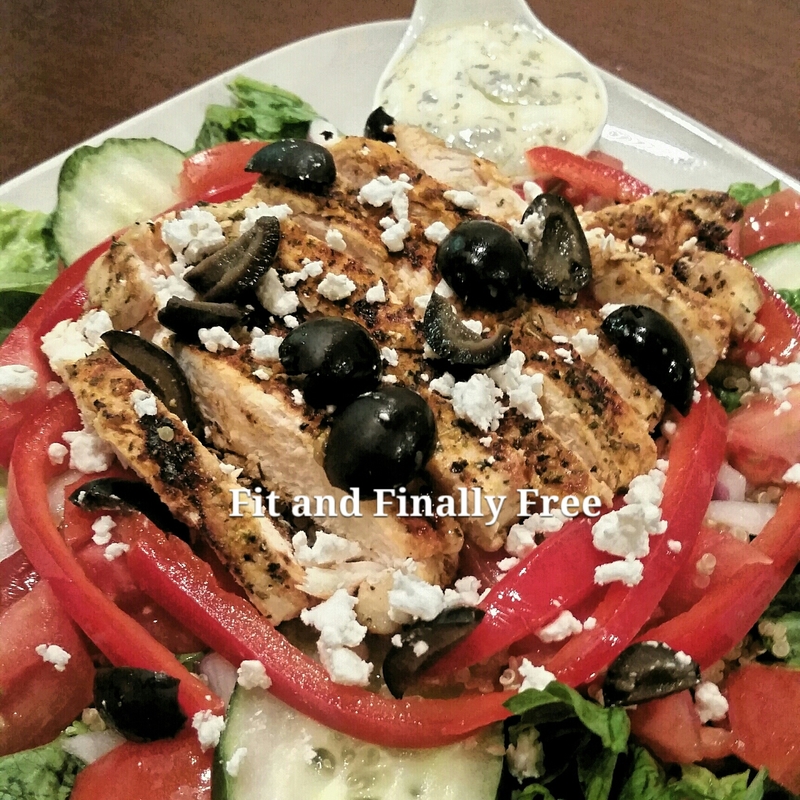 Featured is the Mediterranean Grilled Chicken Salad with Quinoa over Mixed Greens and Creamy Greek Yogurt Dressing. My recipe can be found below. Enjoy! •In a bowl, mix the salad dressing ingredients. Mash the feta cheese in the dressing. Stir well. Refrigerate for 30 mins. Season to taste. • Spray saute pan or foreman grill with olive oil cooking spray and cook the seasoned chicken breast for 5 to 6 mins on each side or until done. Let it rest for 3 minutes. Slice it against the grain. • Cook your quinoa according to the package. Measure out 1/2 cup after it’s cooked. Set aside. • Pile your lettuce upon your plate. • Spread your quinoa over the lettuce. • Sprinkle your tomatoes, cucumbers, red onions, roasted red peppers and black olives over the quinoa. • Top with sliced grilled chicken breast and feta cheese.